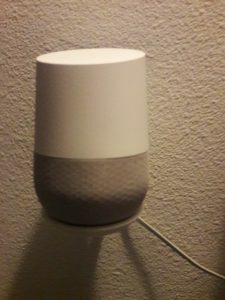 Performance of the Google Home when mounted on the wall seems exemplary, both in terms of audio reproduction and the performance of its integral microphones. 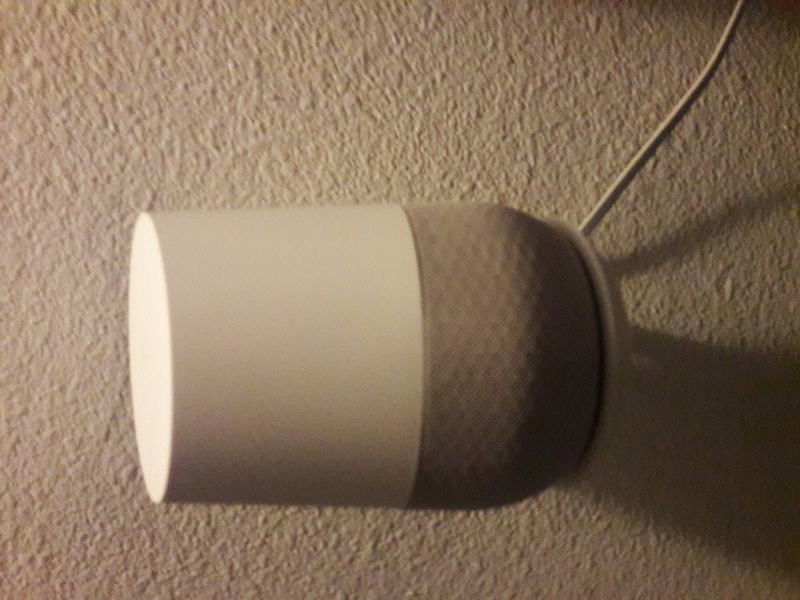 The surface of the mount meshes with the contours on the bottom of the Google Home unit, providing additional stability. 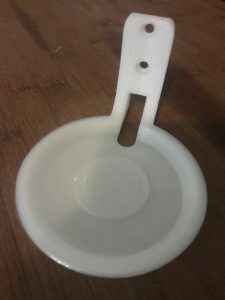 At the end of this post, I’ve included photos of the printed mount itself, the mount on the wall with Google Home installed, and a very brief video excerpt of the printing process. 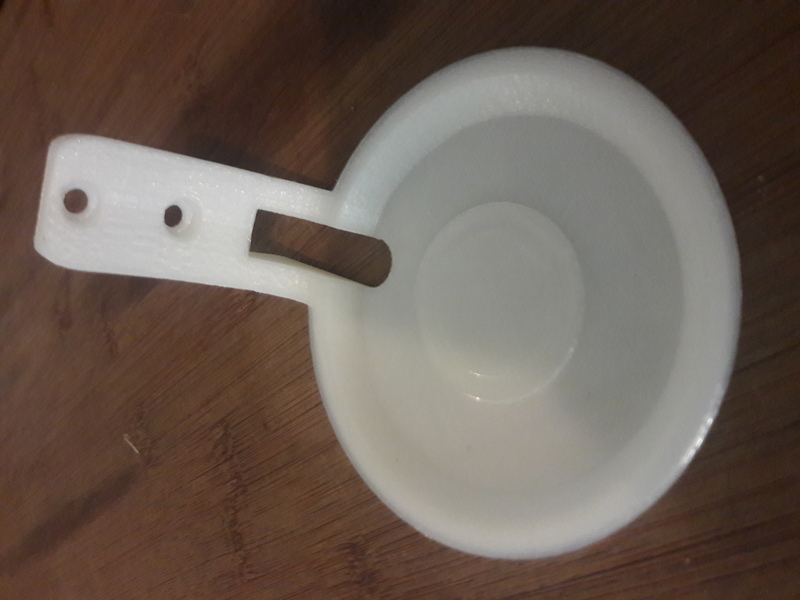 The model for this mount is from “westlow” at: https://www.thingiverse.com/thing:2426589 (I used the “V2” version).